Ceiling draping not only creates a luxurious look but makes a large vast room feel more intimate and is a creative way to hide unsightly beams. 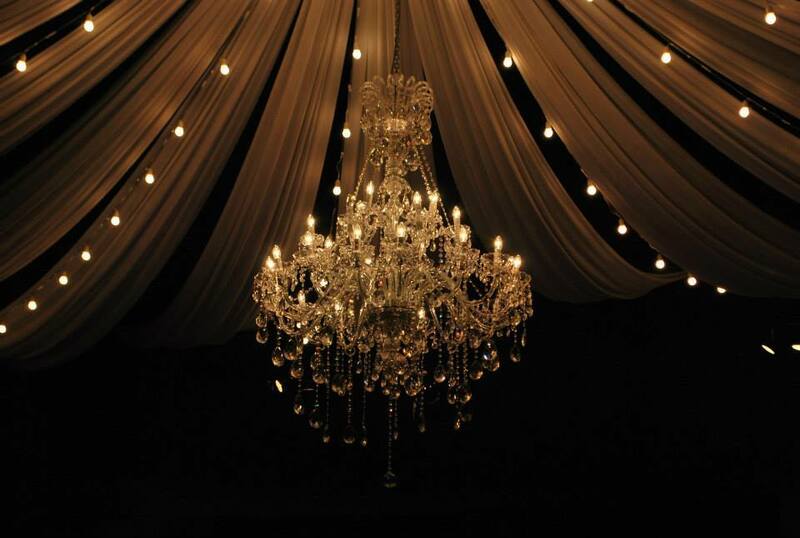 We are able to create luxurious, elegant and unique ceiling draping designs in even the most technically challenging venues. 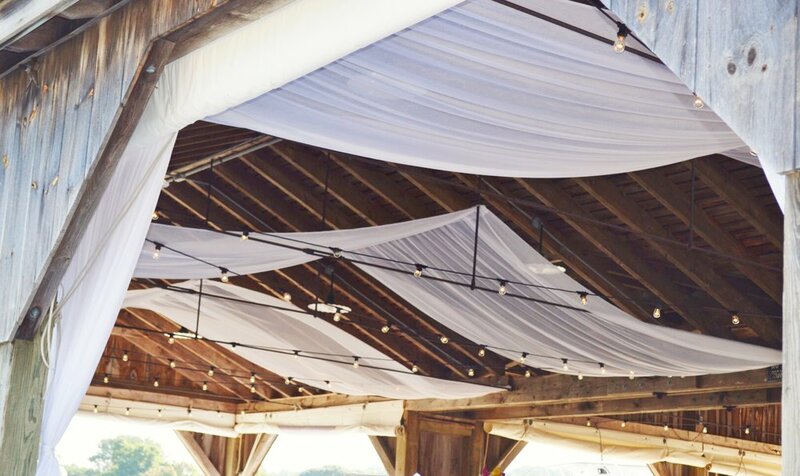 Additionally, our ceiling designs are accented and have their finishing touches applied with a variety of lighting treatments that set the tone and atmosphere for your wedding. 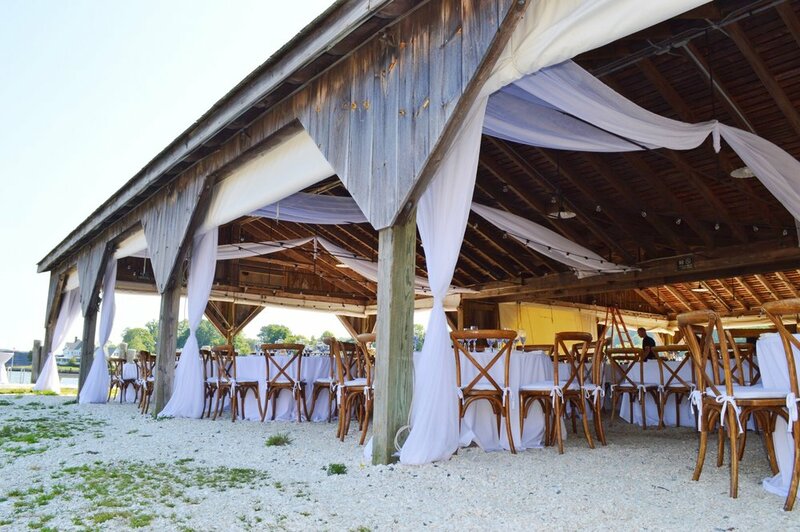 Custom designed wedding arches, arbors, canopies and outdoor draping installations. Our designs can be traditional or modern. 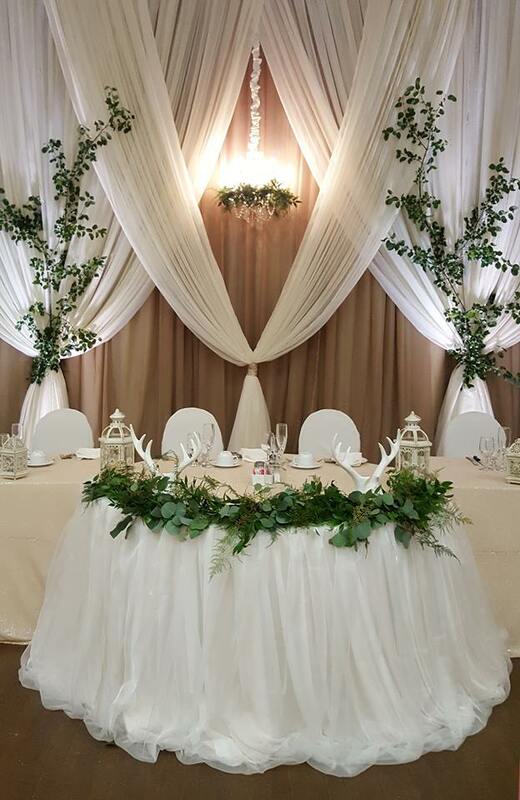 Our draped installations are designed to showcase the focal point for your ceremony and we offer a variety of fabrics and colors. 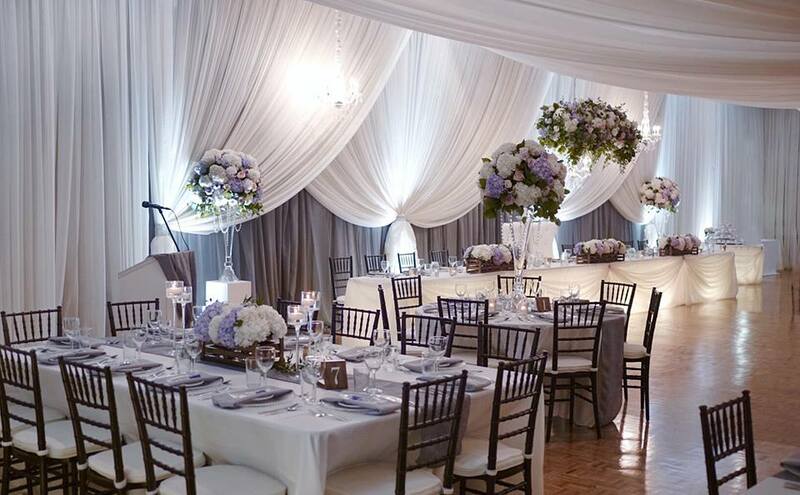 Draping a room for a wedding is a sure way to reach ultimate elegance and luxury. 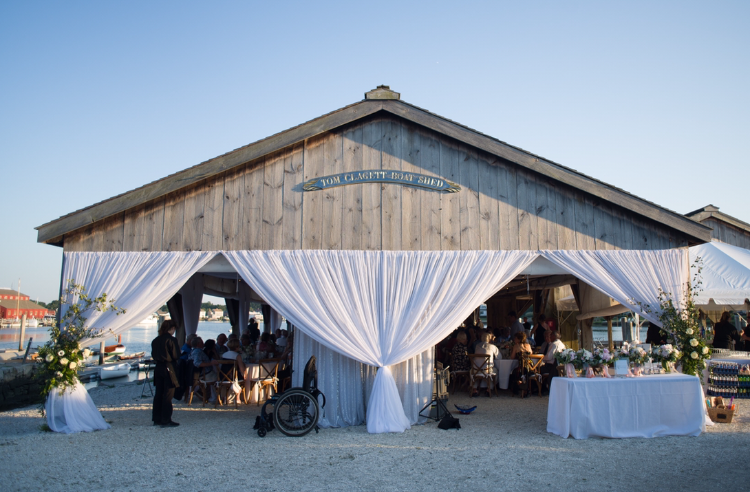 Our draping will transform any venue and create a specific palette for other decor. 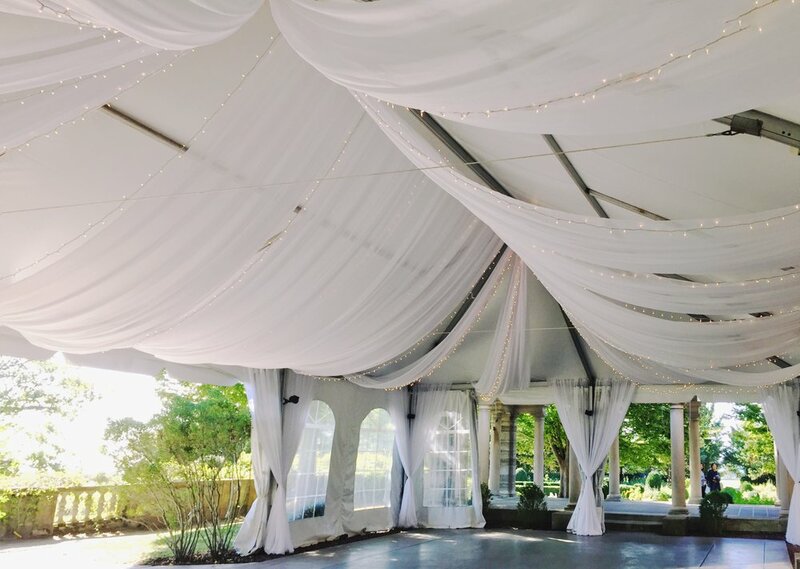 Other advantages of room draping include hiding unsightly walls or structures giving the space a fresh new look. 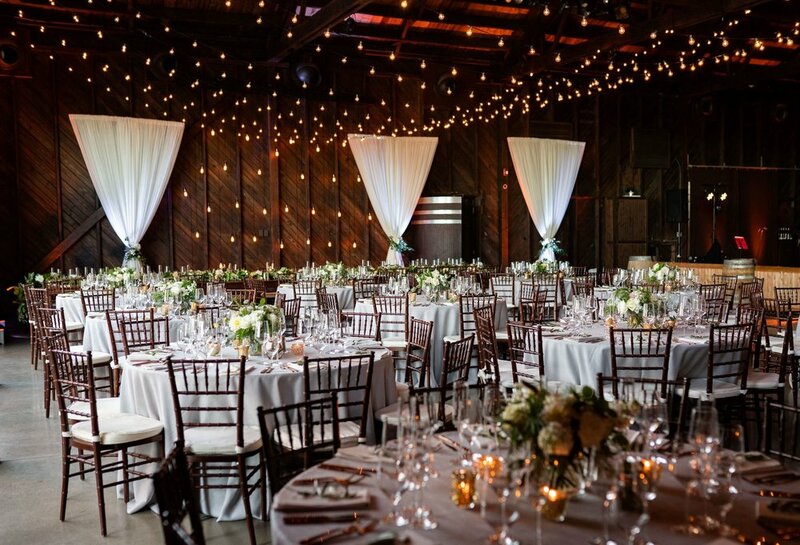 Lighting can add additional color and ambiance as well. 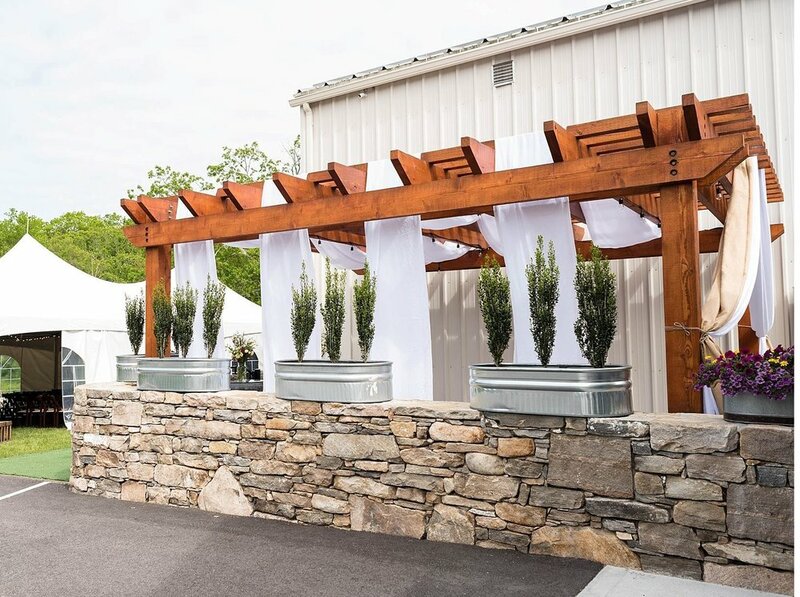 We install temporary wall liners around the venue’s perimeter, softening walls, and covering or disguising doorways and windows. A draped room becomes an entirely new and uniquely designed space. 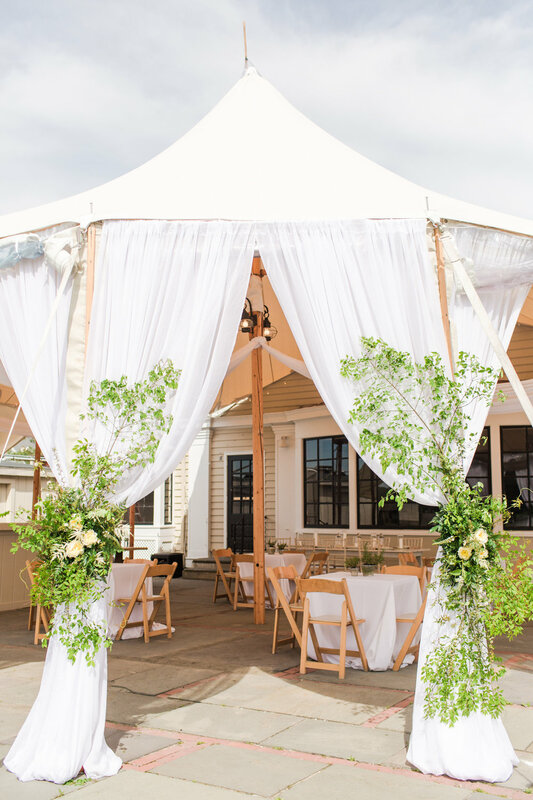 We are experts in transforming the basic interior of a tent into memorable spaces. 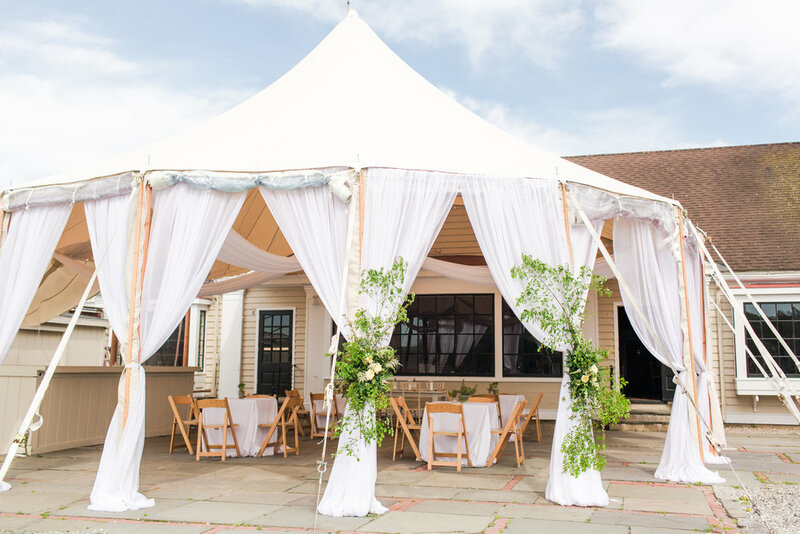 From wedding elegance to a contemporary corporate function in a tent, our designs are sure to provide a sense of style and atmosphere. 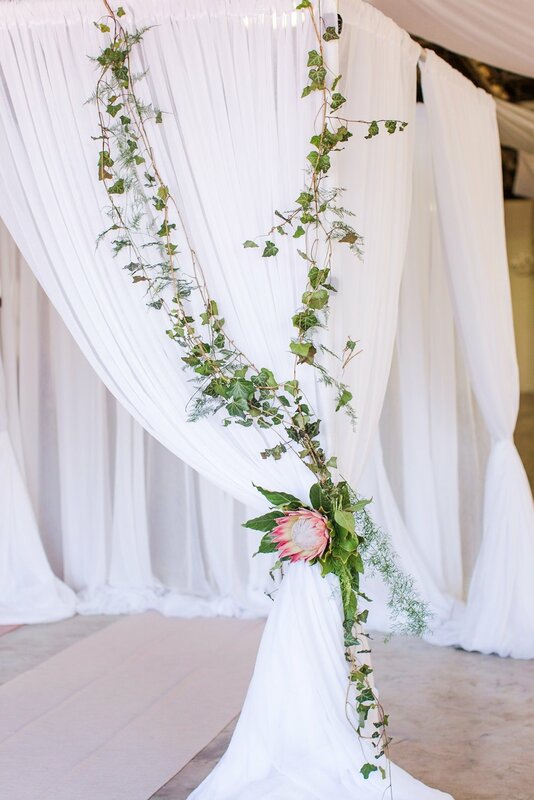 Clients can choose from draping swags to full liners when considering tent draping. 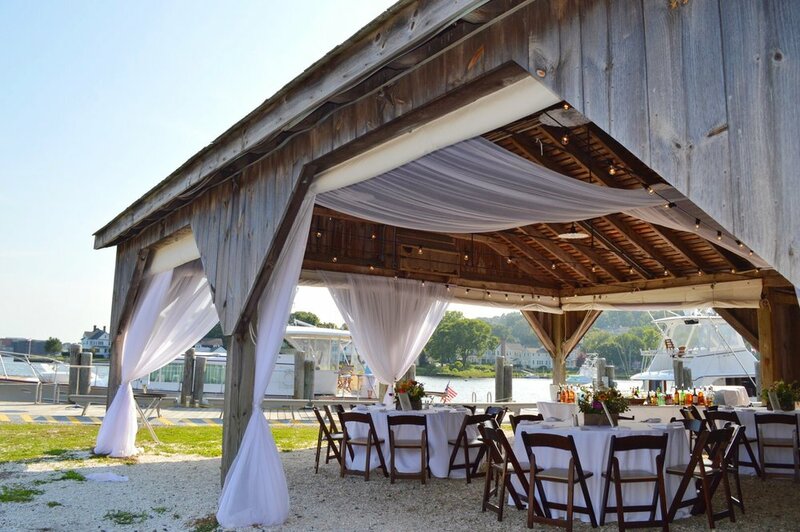 All our treatments are custom designed and installed for the style and size of tent. Clients can choose from a wide variety of colors and fabric textures. For a bold look, an opaque fabric would be suitable, while soft see through sheers are more appropriate for a romantic feel. 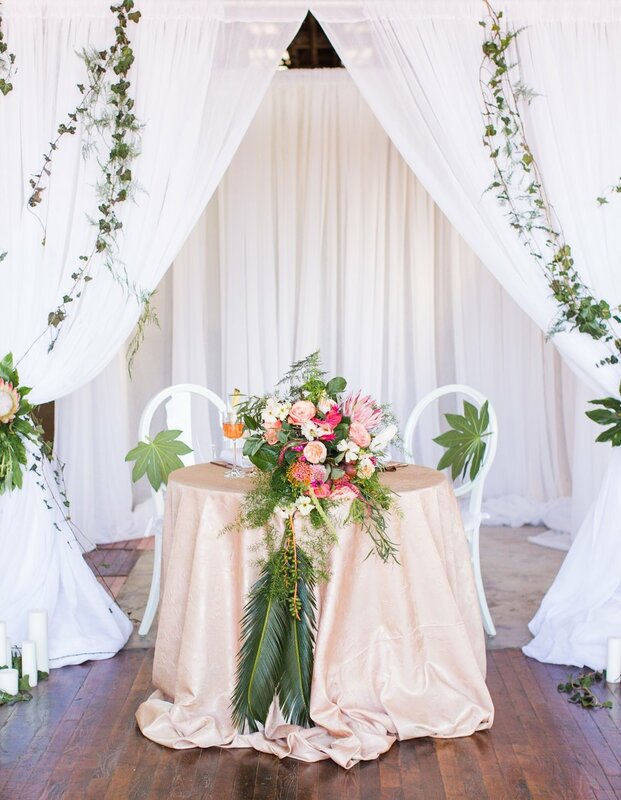 Backdrops create an impressive focal point for any event. 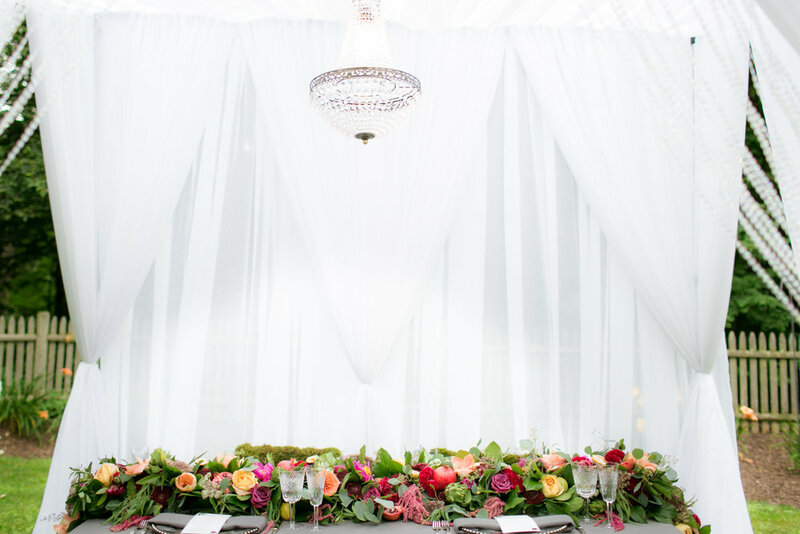 A backdrop is a fantastic way to create atmosphere in a specific area like band staging, a head table or food and bar station. They help mask unsightly ‘behind the scenes’ rigging and can also create a specific theme for your wedding. We offer several color and fabric options including velvets, sheers, poly-satins, silks and even metallics. 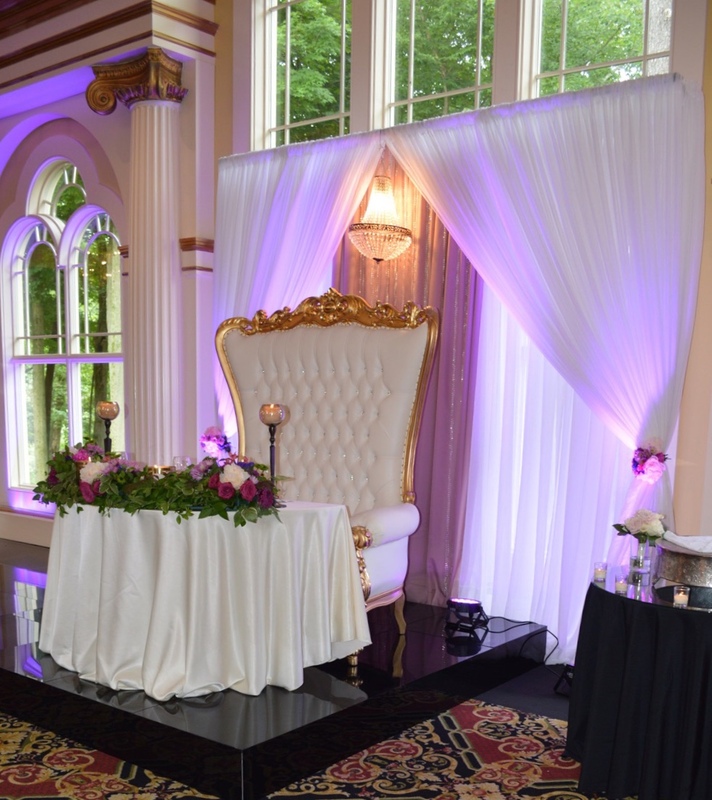 We can accommodate the most dramatic height requirements and our custom designs enable us to ensure a unique look for every event. Let us create something that reflects your personality. We offer a series of comprehensive event draping services for corporate functions and events such as fund raisers, trade-shows, award ceremonies and company parties. Our extensive selection of fabric colors will represent your brand or company corporate colors for your event. Impress your clients and guests with a memorable look. 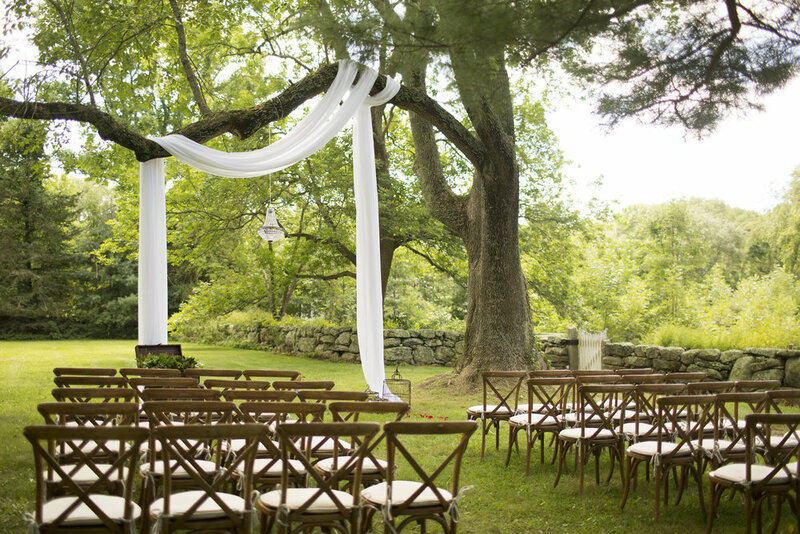 EZ-Occasions will work closely with you to ensure your vision and budget needs are met. Thank you for bringing to life the perfect vision of our wedding, the wonderful service and professionalism. 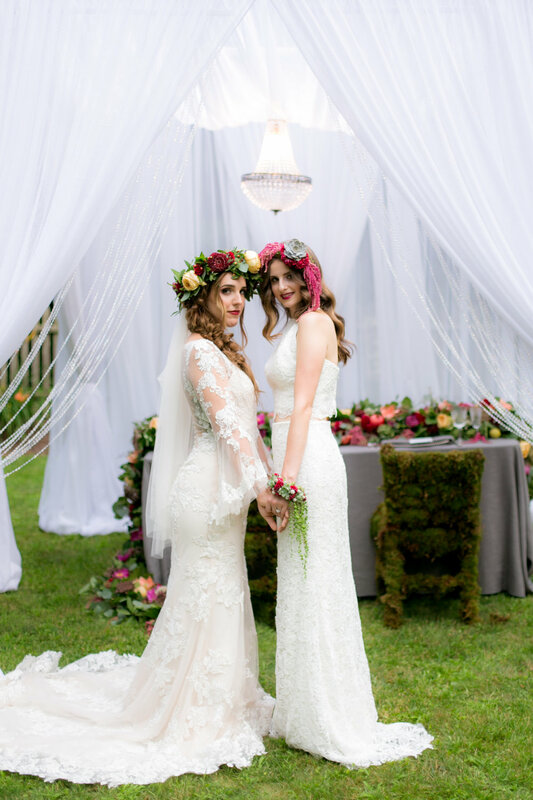 Our wedding was amazing, more than I could ever hope for, it was truly an amazing day for us. We couldn’t have picked a better team. Thank you from the bottom of our hearts!